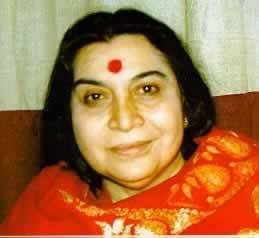 When we come to Sahaja Yoga the Tantra is damaged and impure and the heart 'catches.' There is nothing to be upset in that. One should settle down silently and work to undo the 'catches,' gradually and slowly. The whole Library of Divine Knowledge is at one's hand and if the heart's desire to evolve the being and achieve the Absolute is pure, the solution to every problem will occur automatically, effortlessly and spontaneously — Sahaj. The ultimate act against the Spirit is to worship that which has no Spirit — gross matter or raksasas. Shri Muhammad inveighed against both.... 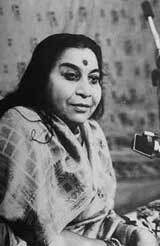 The Atma and its expression is the sole Reality in the Universe. Identification with anything else causes the heart to 'catch.'" You give him a statue of a deity and ask him all about this statue — whether it is all right or not. He might say that it is not alright. You can feel the subtle vibrations, whether it is in Dharma or otherwise.